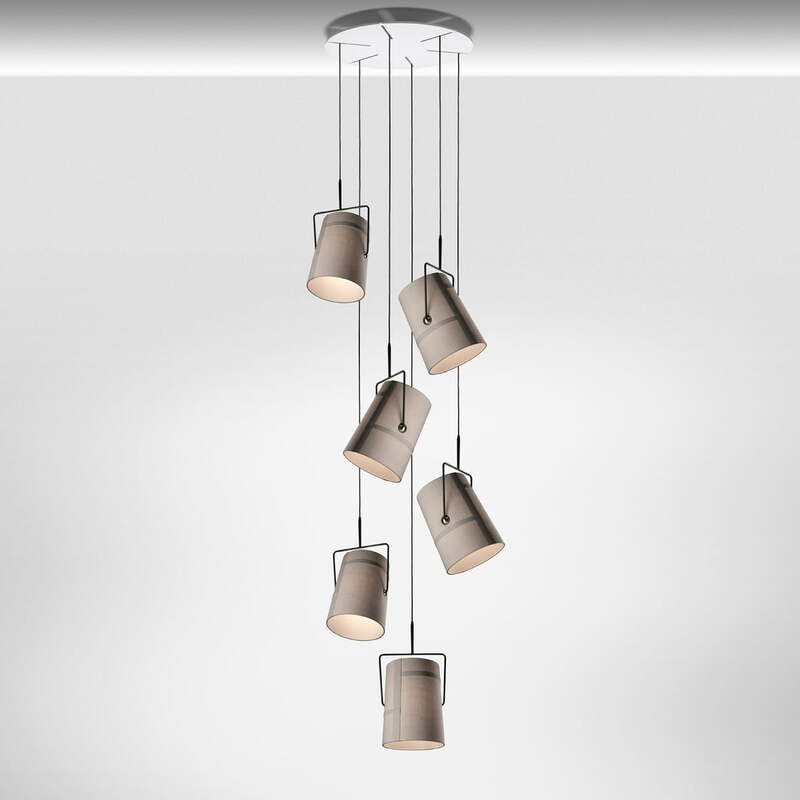 The lampshade of the Fork Pendant Light by Diesel Living is inspired by casual fashion, camping tents and an informal, playful and dynamic lifestyle. 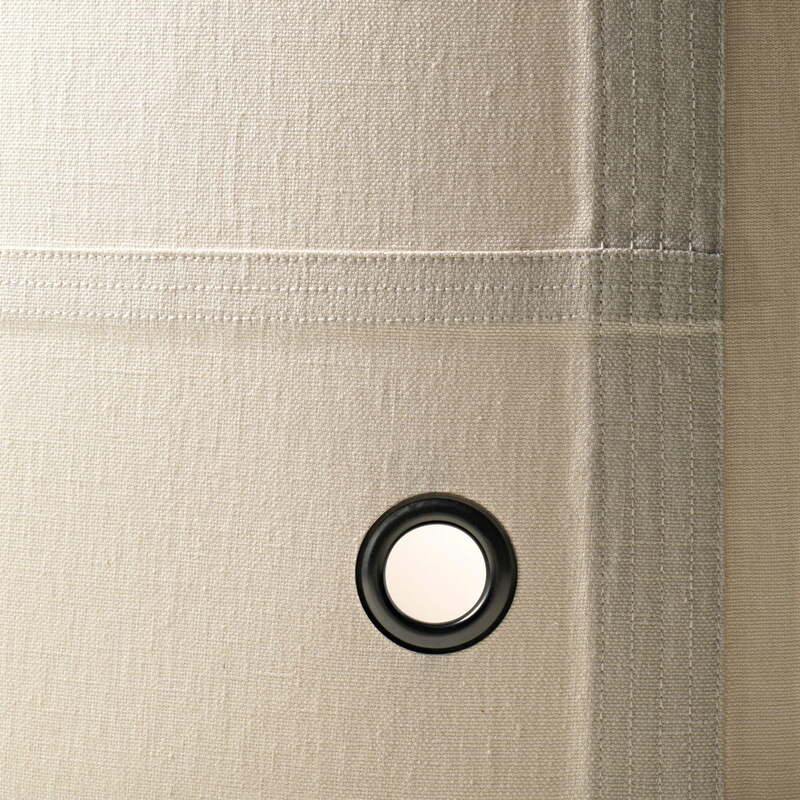 The seams of the fabric resemble jeans. 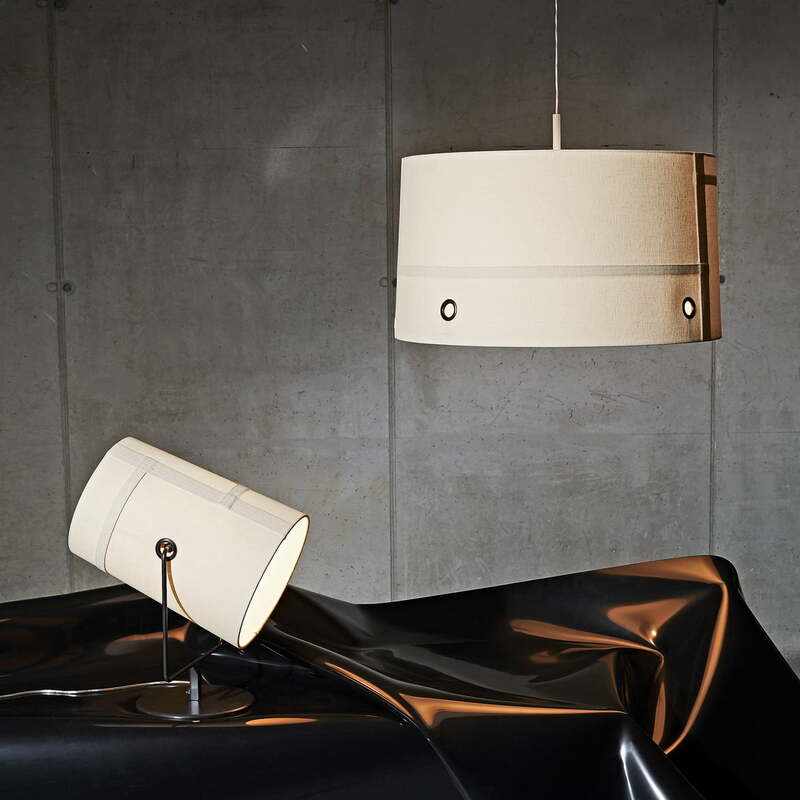 The light accentuates the patchwork structure and the character of the fabric and resembles a light in a tent. 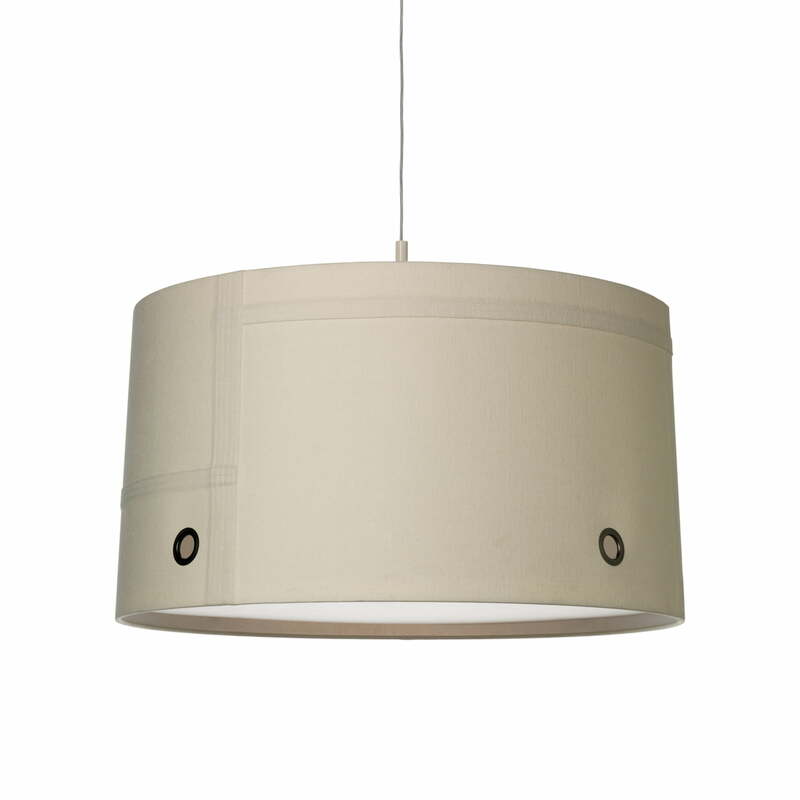 The lampshade can be angled any way you want and rotated 360° to reach any corner of the room. 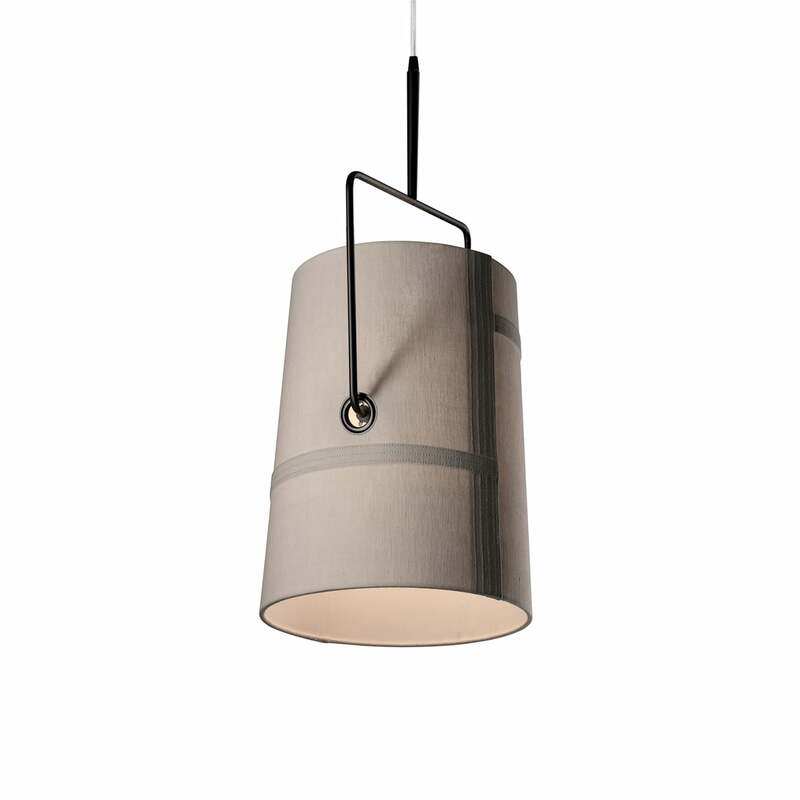 Due to its flexibility, the Fork Pendant Light can be angled within the room. 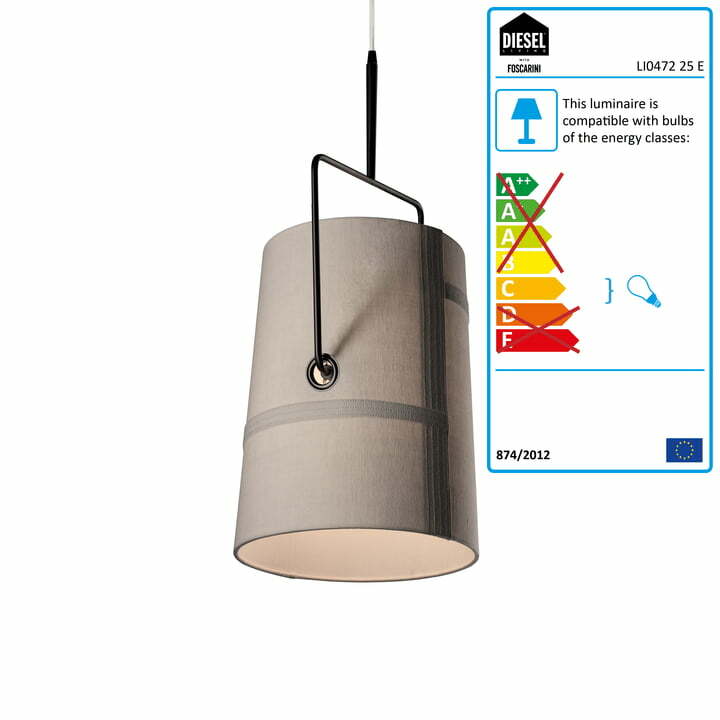 The warm light of the lamp is especially suitable for your home but it can also be used for common areas to add a relaxed atmosphere. 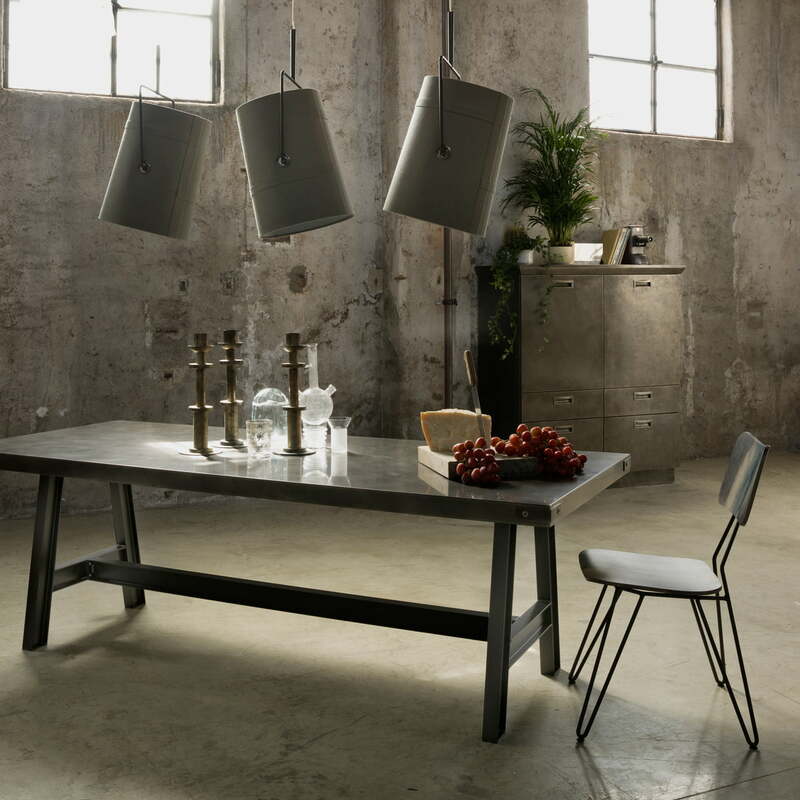 The Fork Pendant Light of the Successful Living from Diesel with Foscarini collection by Diesel Living is also available in beige. 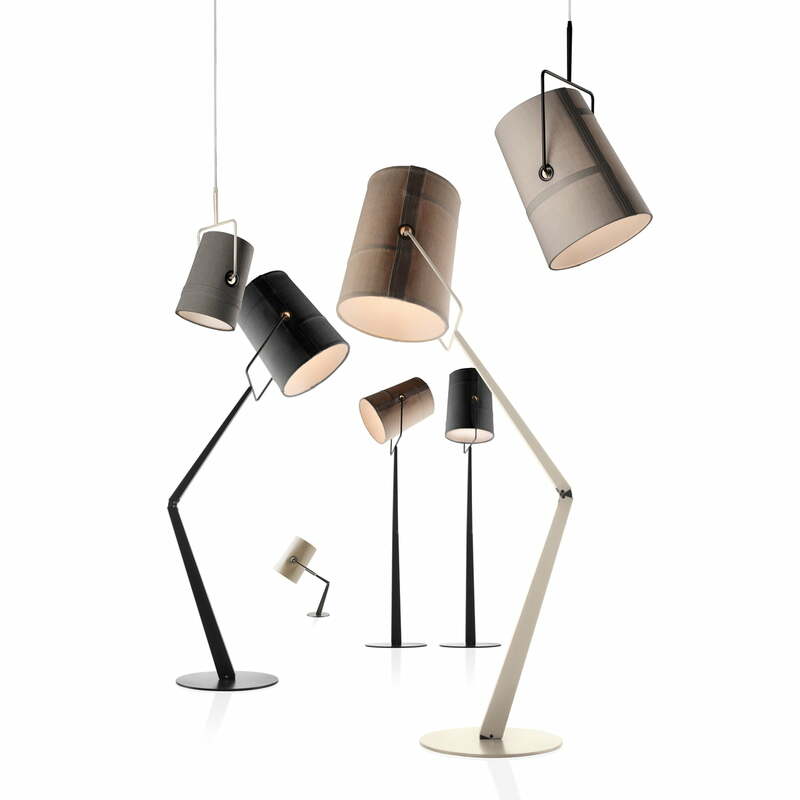 Fork can also be ordered as a table lamp and floor lamp.